A team of researchers made a surprising find when examining a papyrus-wrapped mummy mask — they found what they believe to be the oldest-known copy of a gospel in existence. The researchers found a fragment of the Gospel of Mark that dates back to about 90 A.D., Live Science reports. Previously, the oldest surviving copies of Biblical gospel texts date back to 101 to 200 A.D. The text was written on a papyrus sheet that was later reused for the mummy mask. While the stereotypical image of ancient mummies involves bejeweled golden masks, that level of finery was only reserved for the wealthy. The mummy mask for the average person would have been made out of recycled material like papyrus, according to SmithsonianMag.com. In order to retrieve the text without damaging it, the research team applied a method of ungluing the papyrus without obscuring the paper’s ink. About three-dozen researchers are using this technique to analyze hundreds of texts from mummy masks. “We’re recovering ancient documents from the first, second and third centuries,” Craig Evans, a professor of New Testament studies at Acadia Divinity College in Wolfville, Nova Scotia, told Live Science. Evans is part of a large team of researchers working on the project, which is based in Oklahoma City. “The scholars involved are from all over the world,” he told FoxNews.com. The academic said that the team has uncovered documents from a range of eras. These include not just Christian texts, but classical Greek texts like copies of stories by Homer and even personal letters. Some of the personal documents and business papers found within the masks have dates on them, Evans said. This particular gospel was dated partly by looking at the other documents found within the same mask. For the researchers examining the mummy mask, the text’s discovery marks a significant achievement. Evans said that the text could offer clues about how the Gospel of Mark might have changed over time. 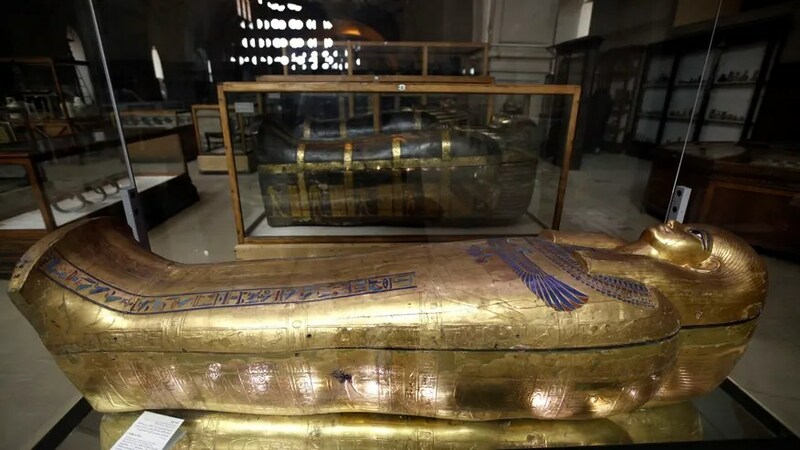 A first volume of the various texts found on the mummies will be published by the researchers later this year.